Kara and Siân are in the process of creating a new (as-yet-unnamed) play with direction by Martha and text contributions by Jennifer. 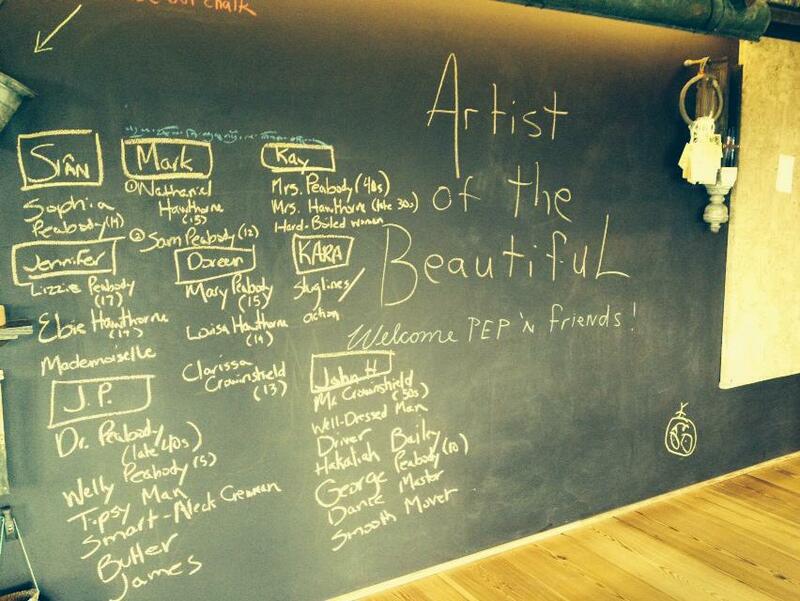 We will be posting more about this project here and on PEP’s Facebook Fan Page as the show moves toward performance in December 2014 and February 2015. We hope to see you there! Jennifer has begun work on an MFA in Playwriting and has been working on her project, “While You Wait”, a “microgallery of mystery that is on an endless tour of our city. The Attendant asks you to spend 5 minutes alone with whatever is in the box”. On the other side of the mountain, Doreen has been in the thick of teaching MFA students in the Shakespeare and Performance program at Mary Baldwin College. She just finished directing a devised show with the students called Little Life. Based on three Shakespeare plays (Twelfth Night, Romeo and Juliet, and The Winter’s Tale) and one play by Thomas Middleton (A Chaste Maid in Cheapside) this original performance traced the lives of the four heroines, or “lost girls,” from birth to death. Next up on her plate she’ll be directing, Metamorphoses, by Mary Zimmerman for the undergraduate drama department at Mary Baldwin College. In other news, Martha has been working toward her MFA in screenwriting. 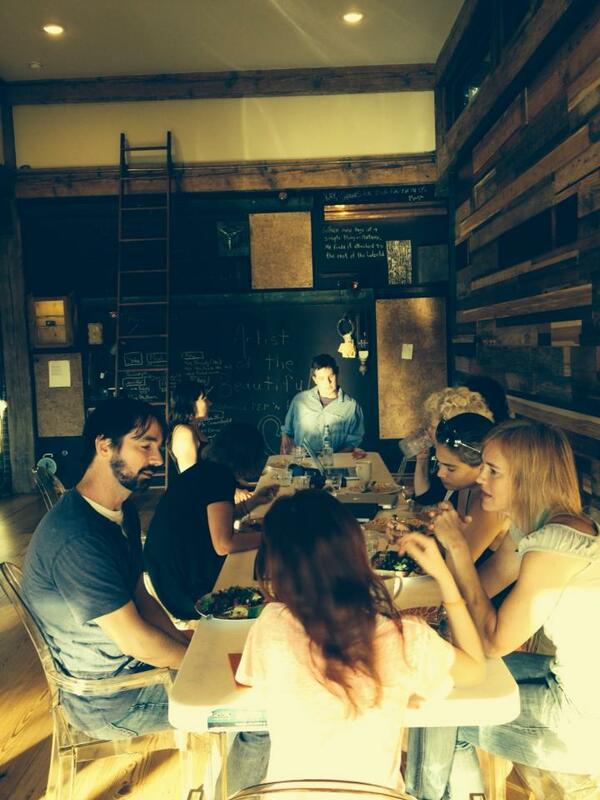 We gathered with some friends recently to read through her screenplay, Artist of the Beautiful. It was a perfect reason to spend time with some of our favorite people, to quietly inaugurate a friend’s beautiful new studio space, Native Pond, and to give Martha a chance to hear all of her (many times revised) words out loud. I am somewhat cerftain I’ll learn many new stuff proper right here! as most reasonable auto transport rates, for moving your vehicle to another place. is at fault. Once the test results were compared, it was clear that the drone test had been fairly successful.